These days we're all looking for ways to save money.... shopping the sales, using coupons, completing rebates, using store rewards programs, etc. These are all great and can save you tons of money. Anyway, something you may or may not have thought of is to not just look for ways to save money, but also ways to make money. Here's a list of the things I do in order to bring in some extra cash. These things won't make you rich, but they can be a nice bonus to your income! 1. Use Swagbucks as your search engine and earn free gift cards. 2. Complete surveys online and get paid. Look to my sidebar for a list of reliable survey companies. 3. Get paid to complete free offers from CashCrate. SO easy. 4. Sign up for Inbox Dollars and Send Earnings. You'll get paid in cash to read your emails. Also receive a $5.00 sign-up bonus for each site. 5. Sign up for MyPoints and get paid in gift cards for reading your email. 6. When you shop online, make your purchases through Ebates and earn cash back. Also get a $5.00 sign-up bonus. 7. Play free (and addicting) games on Winster. 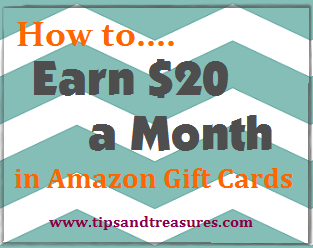 Earn points for gift cards, etc. 8. Join Wellness360's free health site. They pay you to use it. 9. 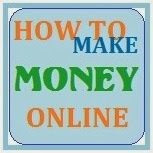 Use the iRazoo and MySearchBonus search engines. Though not nearly as good as Swagbucks, you can still win & earn free gift cards. 10. Refer your friends/family to do all of the above. Most of them have referral bonuses! Find more helpful tips at Works For Me Wednesday. It's the Greatest Hits edition... so everyone is doing a re-run of one of their old WFMW posts. That's why this may seem a bit familiar! Find my previous Works For Me Wednesday posts here. These are great tips. I'm going to bookmark this so I can remember everything. I used to do group surveys for a company when we lived in San - $Diego. I would get paid $75-150. I wasn't sure whether to leave a comment here or on your most recent! :-) Love your post....there were a couple I hadn't heard of before so I'll be checking them out. I am in love with SwagBucks and YouData though! I checked out your recipe for Monkey Bread/Cake too! It looks yummy....I have bookmarked it for sure!